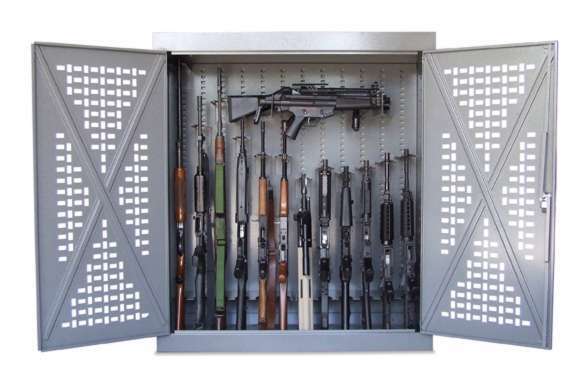 We are offering large and small capacity storage systems for all types of firearms for our vaults or your existing gun room. 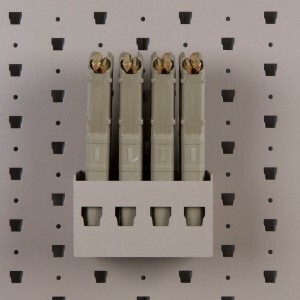 We can offer discounts on certain orders. 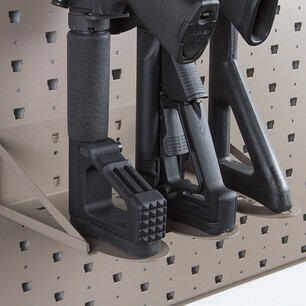 This package uses 3 of our WP-48.5 and holds 1 rifle horizontal, 6 rifles vertical and 5 handguns. 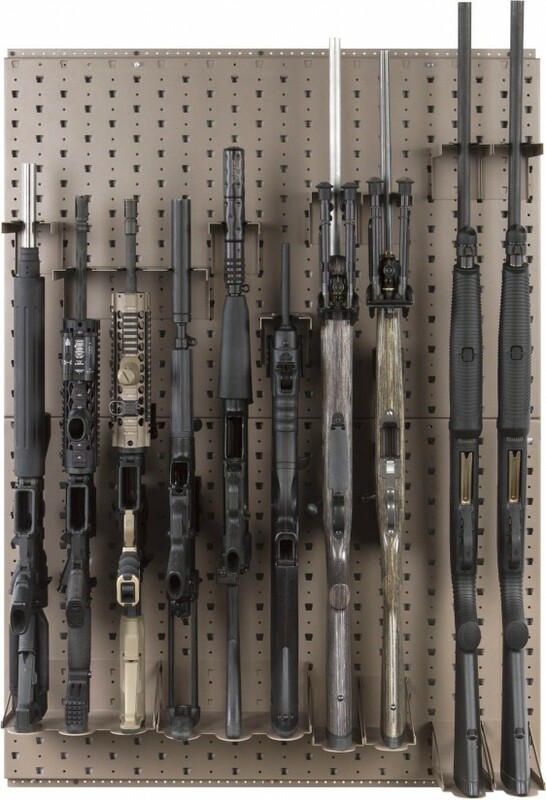 Total wall space required to fit this rack is about 48” high x 36” wide. 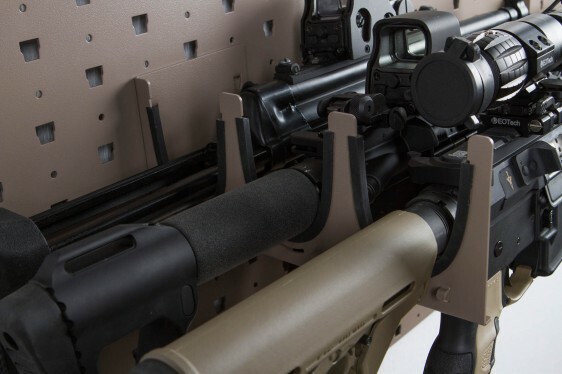 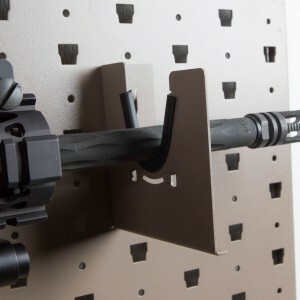 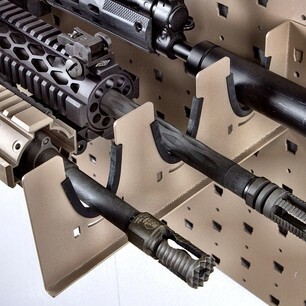 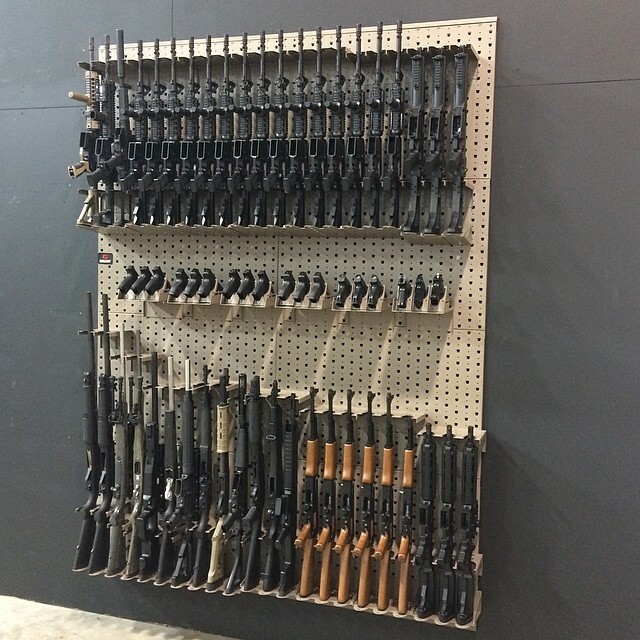 This rack system uses one of the 24” x 36” wall panels will hold 2 rifles horizontally. 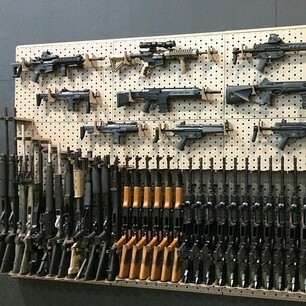 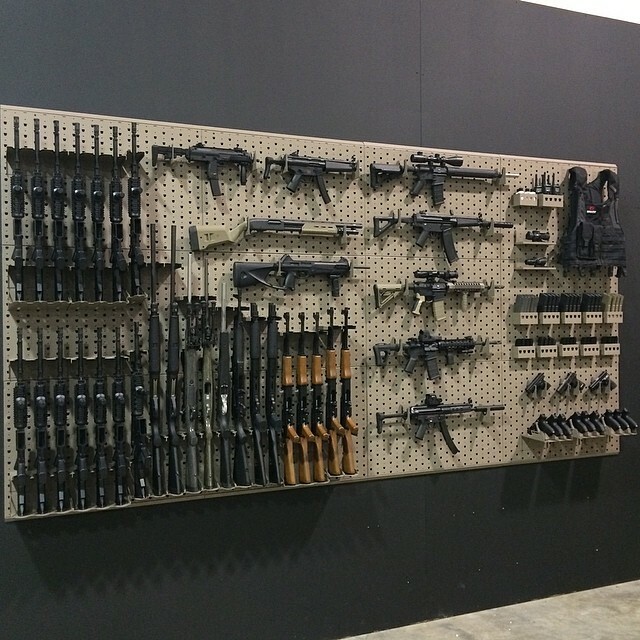 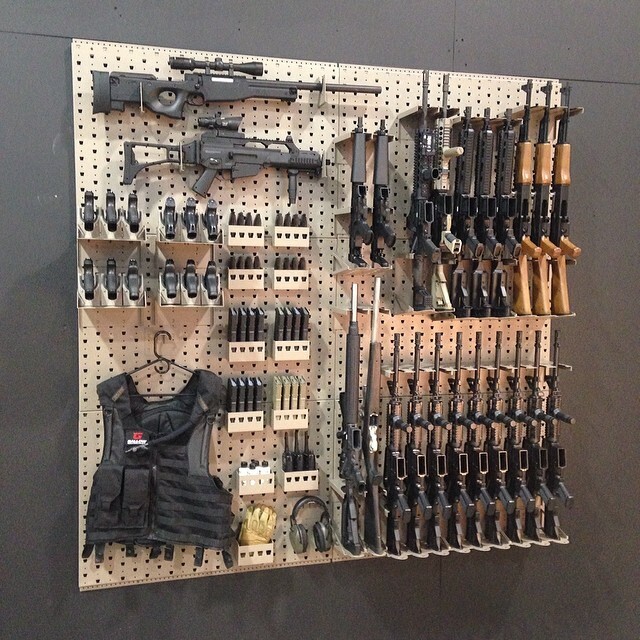 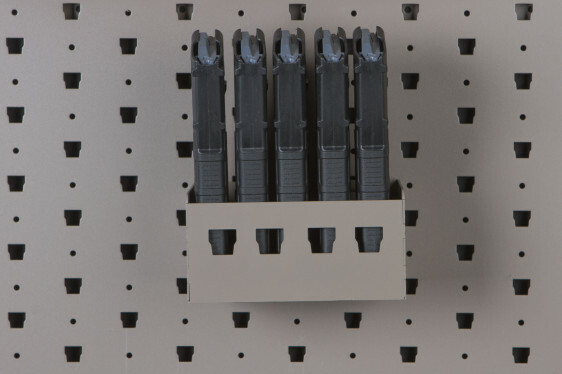 This rack system uses one of the 24” x 36” wall panels and will hold 3 rifles horizontally. 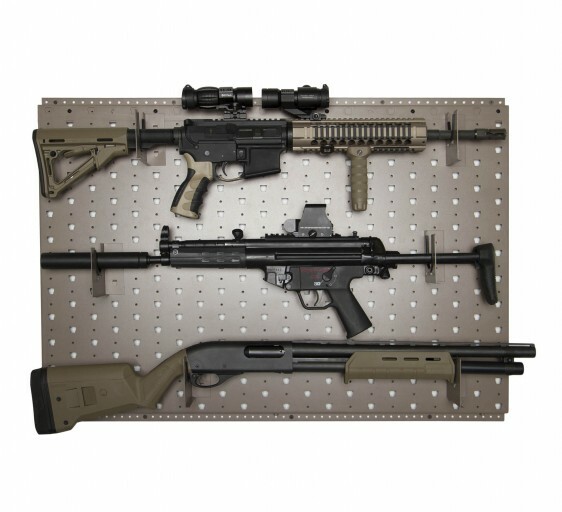 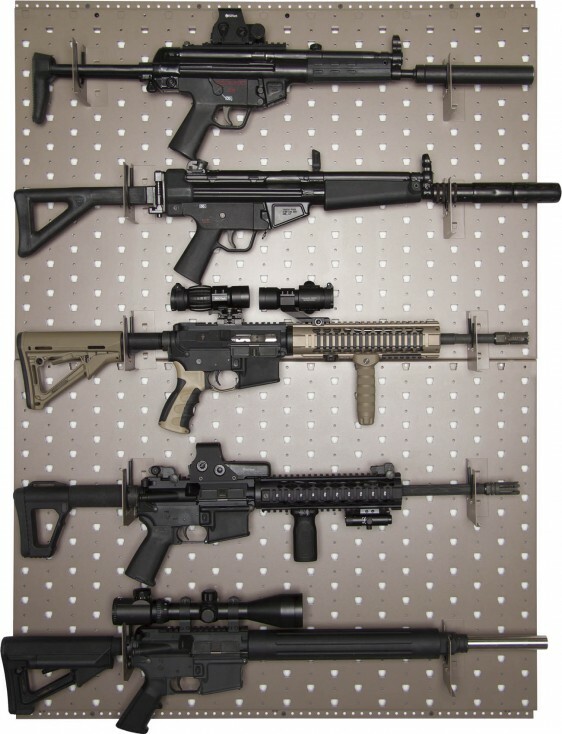 This rack system uses two of the 24” x 36” wall panels and will hold 5 rifles horizontally. 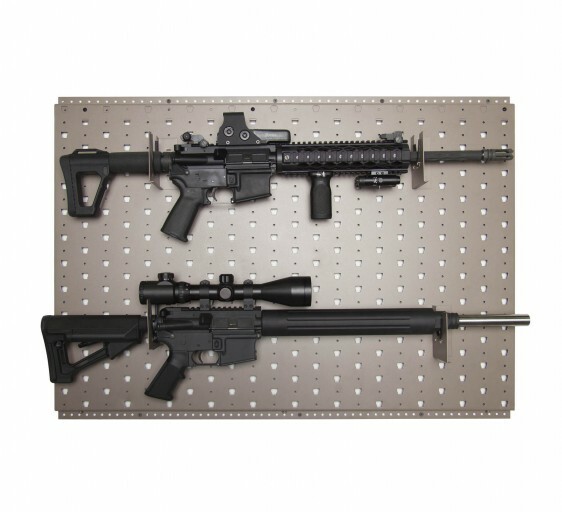 This rack system uses two of the 24” x 36” wall panels and will hold 10 rifles vertically. 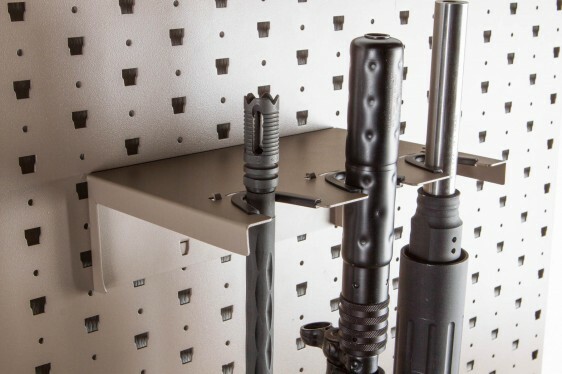 This rack system uses two of the 24” x 36” wall panels and will hold 1 rifles horizontally, 6 rifles vertically, 6 handguns, approx 8 handgun mags and approx 8 AR (223) or AK mags. 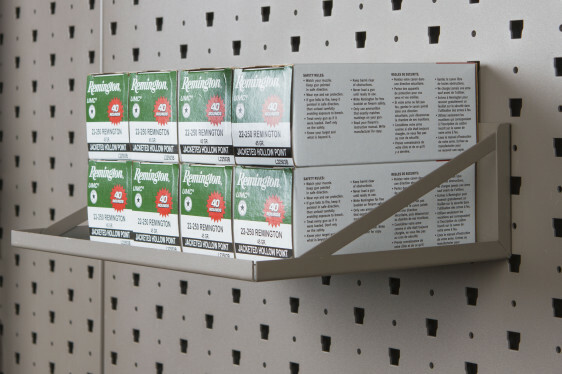 The total wall space required is 48” high x 36” wide. 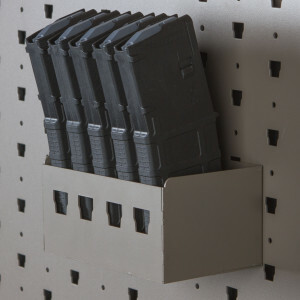 This package uses 2 of our WP-24.36 wall panels and holds 1 rifle horizontal, 4 rifles vertical, 5 handguns, misc magazine storage and an accessory self. 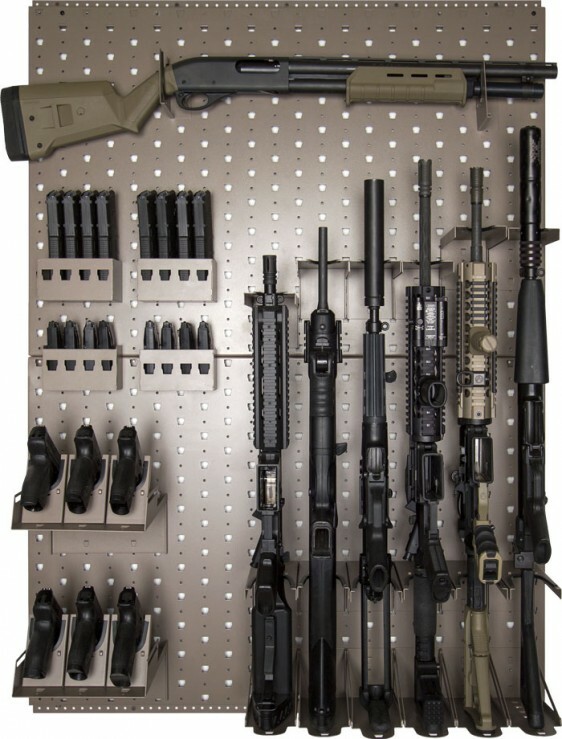 Total wall space required to fit this rack is about 48” high x 36” wide. 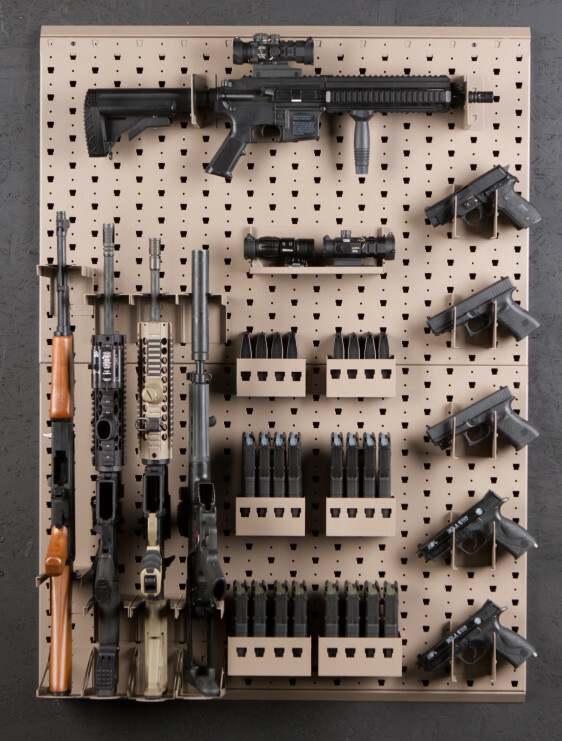 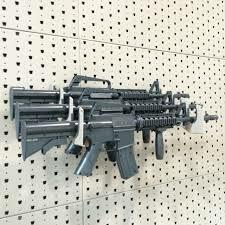 This rack system uses three of the 24” x 36” wall panels and will hold 3 rifles horizontally, 5 rifles vertically, 6 hand guns, approx 8 hand gun mags, approx 8 AR (5.56) or AK mags and has one accessory hook. 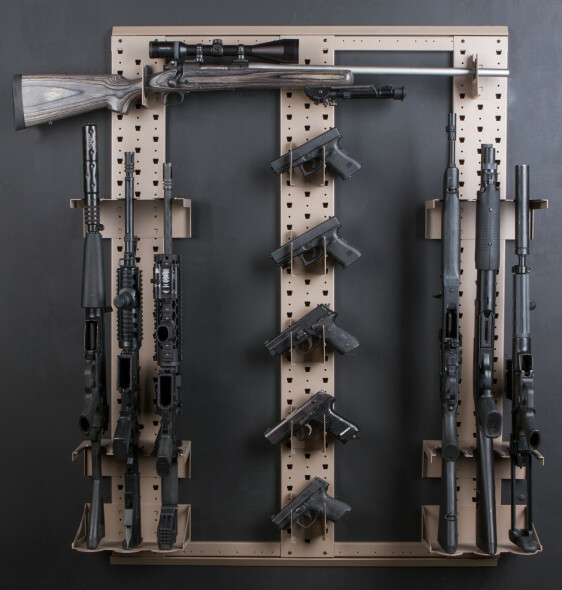 This rack system uses three of the 24” x 36” wall panels and will hold 2 rifles horizontally, 10 rifles vertically, 6 hand guns, approx 4 hand gun mags and approx 8 AR (223) or AK mags. 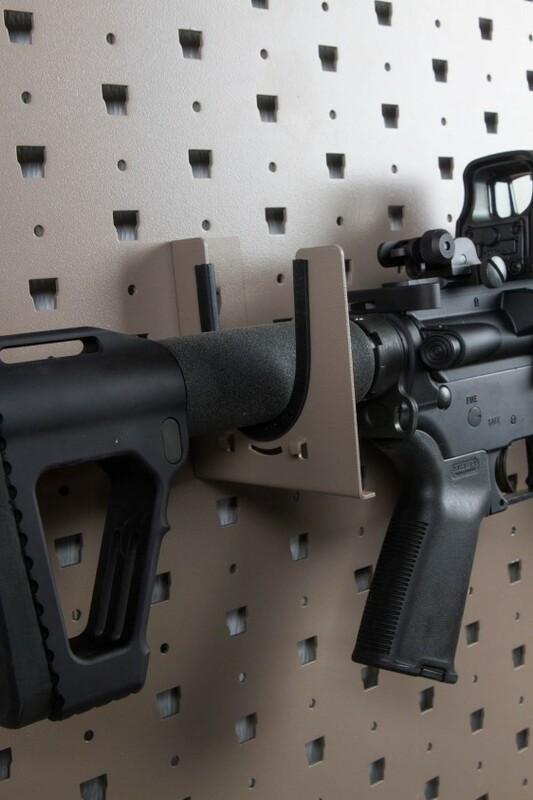 This package uses 3 of our WP-24.36 wall panels and holds 2 rifles horizontal, 6 rifles vertical, 3 handguns, misc magazine storage and an accessory self. 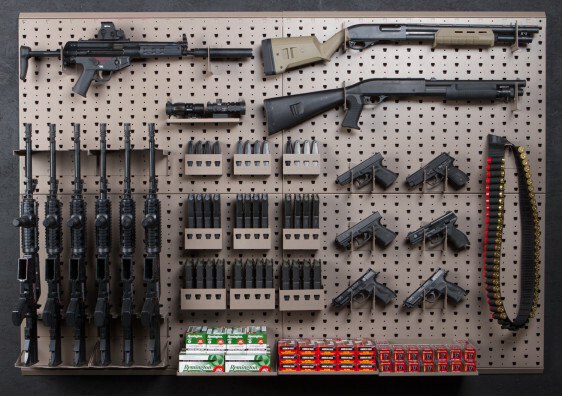 Total wall space required to fit this rack is about 72” high x 36” wide. 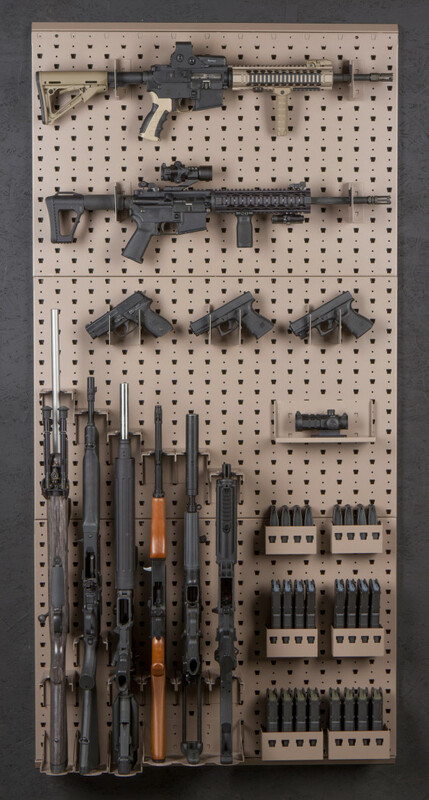 This package uses 4 of our WP-24.36 wall panels and holds 6 rifles horizontal, 6 handguns, misc magazine storage and a couple accessory shelves. 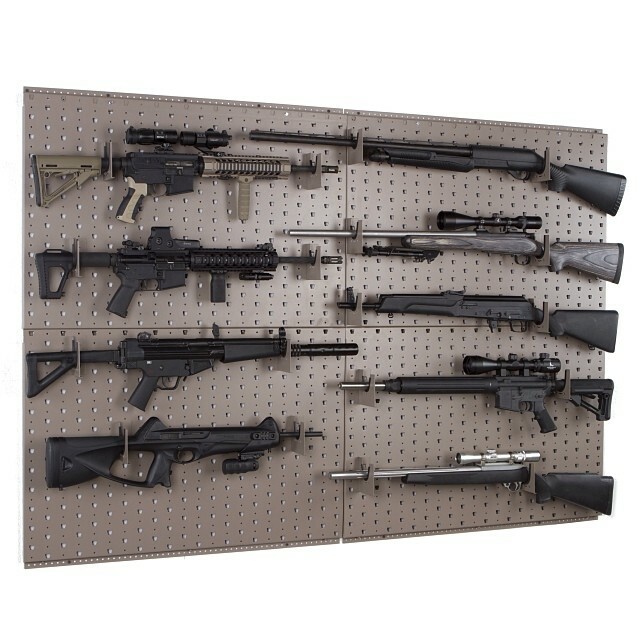 Total wall space required to fit this rack is about 48” high x 72” wide. 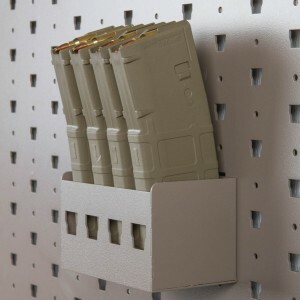 This package uses 4 of our WP-24.36 wall panels and holds 3 rifles horizontal, 6 rifles vertical, 6 handguns, misc magazine storage, misc storage shelves and an accessory hook. 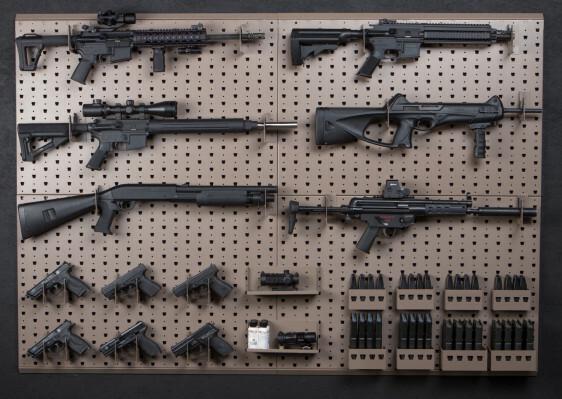 Total wall space required to fit this rack is about 48” high x 72” wide. 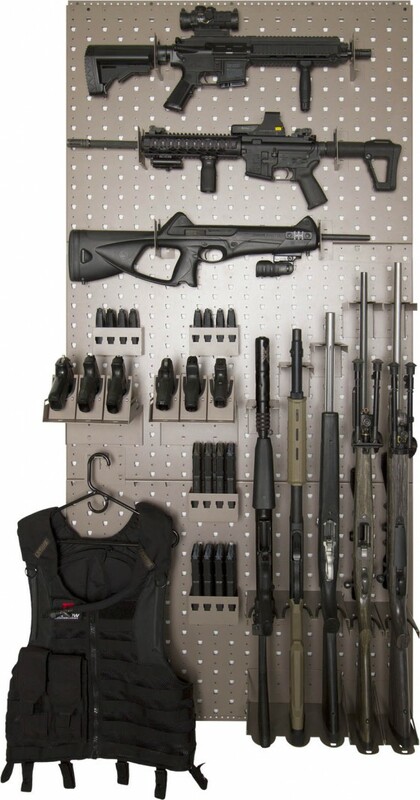 This package uses 6 of our WP-24.36 wall panels and holds 6 rifles horizontal, 12 rifles vertical, 9 handguns and misc magazine storage. 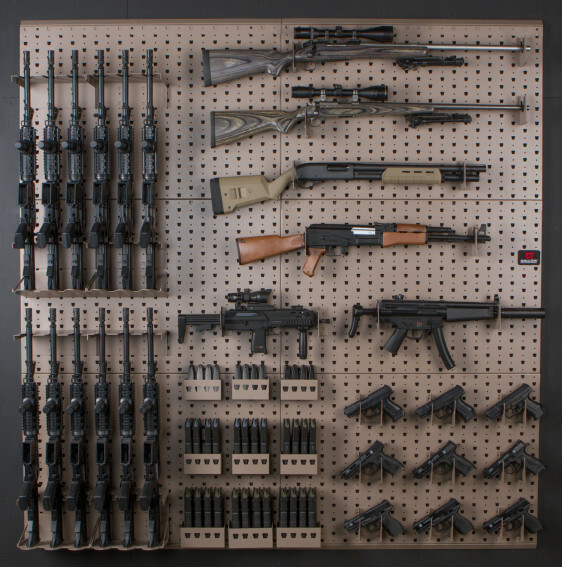 Total wall space required to fit this rack is about 72” high x 72” wide.